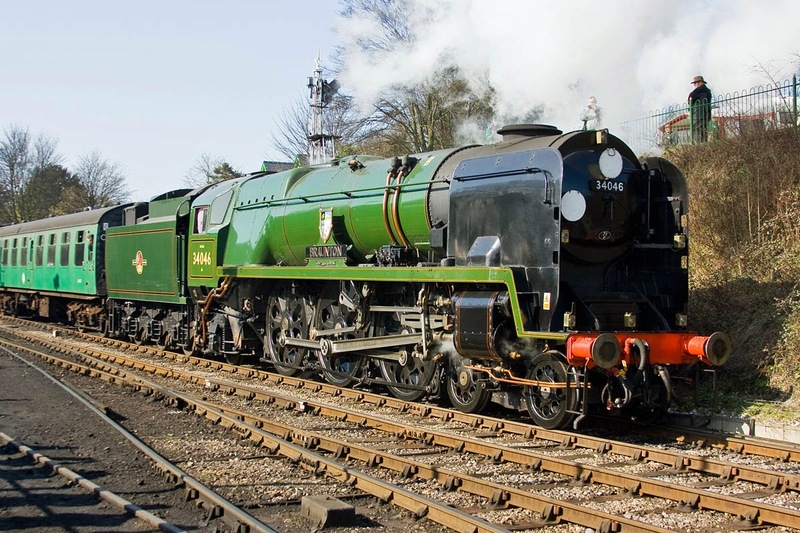 SR West Country 34046 Braunton on its second visit to the Watercress Line, departing Ropley. 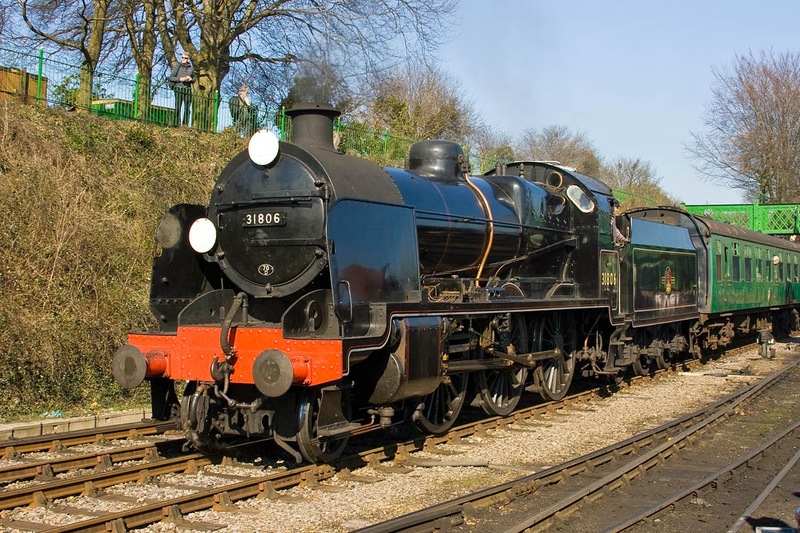 SR U 31806 may be making its final appearance at a Mid-Hants gala, arriving at Ropley. 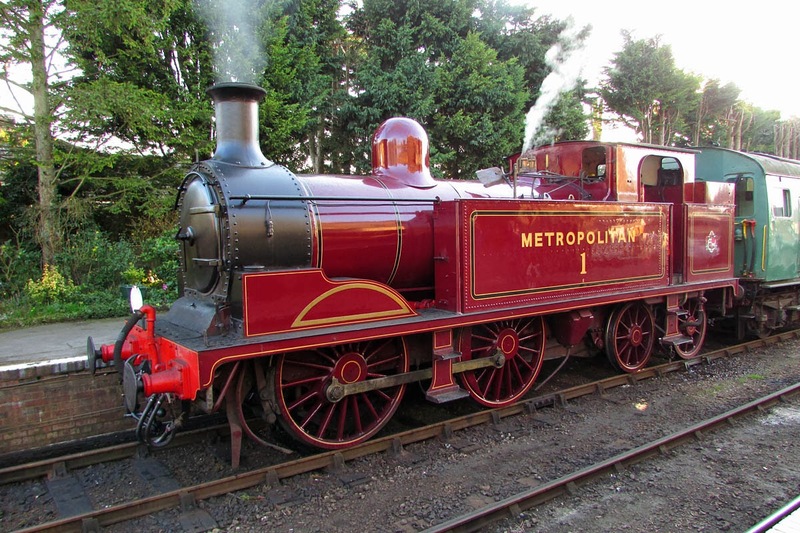 Metropolitan Railway No. 1, built at Neasden in 1898. 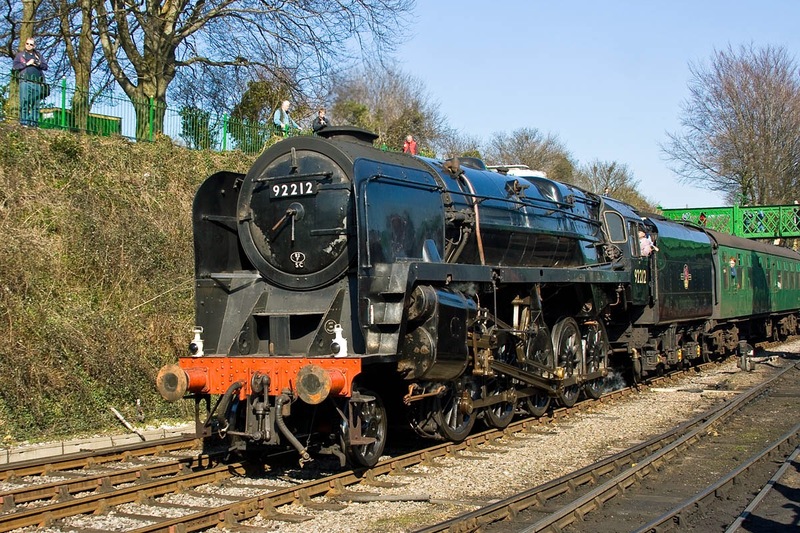 BR 9F 92212 arriving at Ropley.